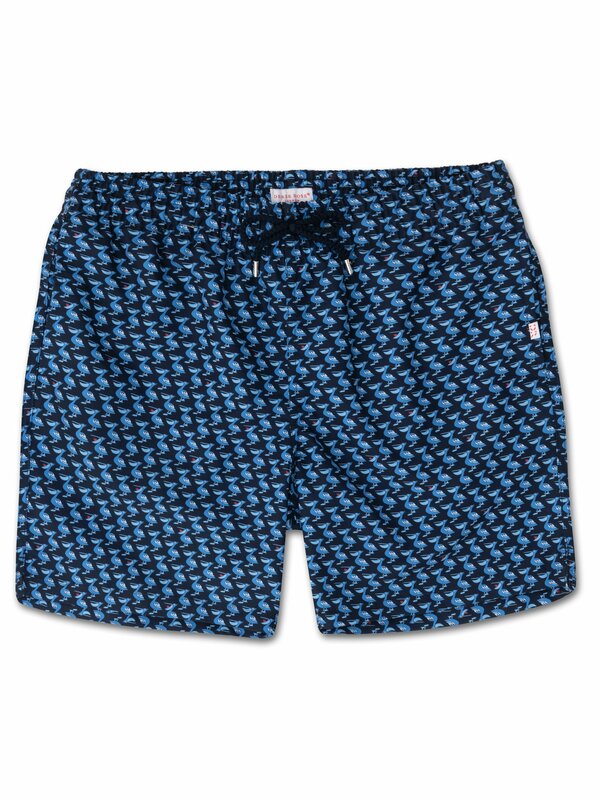 Add some fun to your holiday with our Maui 9 Pelican print swim shorts with their supersoft finish and relaxed fit. This novelty geometric print in light blue and white is based on the pelicans at Pismo Beach in California. A few cheeky pelicans have even swooped a fish - lucky birds! We've designed our swim shorts to be comfortable and stylish both in and out of the water. Our Maui 9 classic fit swim shorts in navy blue are crafted from a quick-drying polyester fabric which has been pre-washed for a supersoft finish.